You may have noticed that I don’t have many traditional cake recipes on my blog — and that’s because I don’t particularly love cake or frosting. 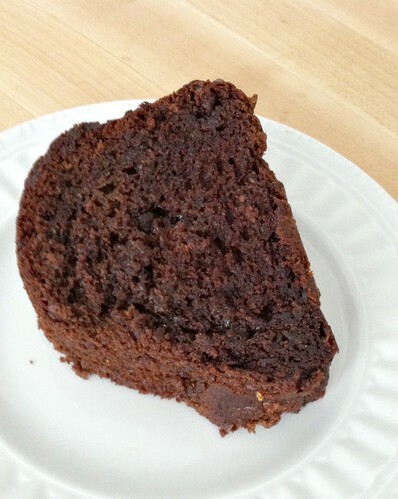 However, the Triple-Chocolate Bundt Cake recipe I posted over 2 years ago is STILL one of my favorite desserts. It’s so simple, it starts with a boxed mix, and Dave just so happens to love bundt cakes — win, win, win! Dave and I love chocolate — so the “triple chocolate” is definitely a winner for us. However, there are other times when we might prefer a less overwhelmingly chocolate dessert (like if we’re bringing dessert to a potluck or a friend’s house), so I started experimenting with different cake mixes and different ingredients and made a whole bunch of variations of this most delicious (from-a-box) cake. But you’d never guess it was from a box… seriously! I make some version of this cake at least once or twice a month — or whenever we need a quick dessert. Often, I’ll make 2 cakes at the same time, cut them both in half, put half of each in the freezer for later (yes, they freeze extremely well), and save half to eat right away. If you’re looking for a simple and delicious dessert recipe for yourself or an upcoming event, give this one a try! 1 c. mix-ins (optional) — chocolate chips, nuts, peanut butter chips, etc. Mix cake mix and dry pudding in a medium bowl. Add the wet ingredient and any mix-ins; stir until combined. The best part of this recipe is that you can use it over and over and over again — just with different ingredients to suit your tastebuds (or your cravings). Feel free to try your own combinations of cake mix, dry pudding mix, and mix-ins — this is just a short list of some of our favorites! The pudding makes this cake super dense and moist, so you honestly don’t need frosting. However, if you love frosting, feel free to try different varieties of frosting, glazes, or even just powdered sugar. And yes, this cake definitely tastes delicious with ice-cream! Do you have any “go-to” desserts you make all the time? give it a try — what’s the worst that can happen! now I will be able to make that cake again. Thanks so much! glad to help. We love this cake!! thanks so much Connie — we LOOOOOOOVE all the variations of this cake too. It’s a recipe I make VERY regularly all year long! LOVE. 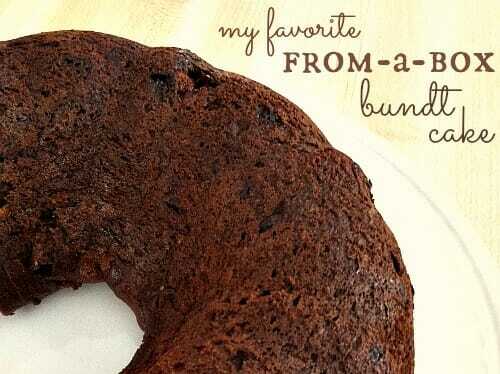 . . .LOVE. . .your from-a-box bundt cake recipes. . . .sharing with my knit group. Thank You! thanks Linda — we love it too! This is a GREAT recipe. Love it! Question: it seems all the cake mixes come in 15.25 oz (not 18.5 like they used to). How do I need to adjust your recipe for the new size mixes???? I use the same recipe even though the cake mixes are sometimes smaller. It still works perfectly for me! Made this cake for a church pot luck on Saturday, with no leftovers. So delicious! I just made cake # 2 for us to enjoy at home. Question: How do you freeze this cake? Wrap in aluminum foil or just bag it up in a freezer bag? Thanks for sharing your recipe! yay — glad you liked it! We LOVE LOVE LOVE this cake! Do you ever have trouble getting your cake out of the pan when using chocolate chips? I’ve made this twice and even though I grease and flour the pan I still get chocolate chips that stick to the pan. Any advice? Yes Kristen, sometimes the chocolate chips do stick to the bottom — but it’s usually just a few so I don’t worry that much. However, I have found the greasing the pan with Crisco (oleo from a can, not the oil) and no flour works the best for this cake. I just made one again yesterday and only had 2 or 3 chips stick to the pan. If you continue to have problems, you might consider borrowing a different pan from a friend to see if it could just be your specific pan! Well, frustration got the best of me today with the potty training of my almost 3 year old. I sorta promised him we could make a cake if he went #2 on the potty. Let’s just say, he held me to it and we just enjoyed the chocolate version with semi-sweet and butterscotch chips. Win some, lose some! lol I can’t wait to try the Red Velvet, sounds so good! Thank you for all the recipes you post. I try most and they are all easy and wonderful. This cake recipe is a keeper for sure. I bought a cute bundt pan on QVC.com from the Temp-tations line in teal and it comes with a serving platter and a clear lid if you want to use it for other things which I will. Would be nice for fruit and such. You can watch the video presentation to see the other uses. Just wanted to share this with everyone because I love mine~They call it a fluted tube pan. For the Glaze on top I found this easy recipe and it worked and tasted fabulous. Sprinkled a few multi colored sprinkles on top. Going to take it to Church tonight! Put milk in microwaveable bowl add c.chips and microwave 45 second. Enough to warm it up to melt the chips. Becareful to not get it too hot. Take out of microwave and continue to stir to help the chips melt completely. Add the vanilla and pour over cake. This will not harden but remain tacky. Tastes wonderful! Sounds yummy — I’ve made a similar glaze before and can attest that it’s fabulous! Wow I never knew there were so many variations to this cake. I have used this same recipe only yellow cake mix , butterscotch pudding and then mix cinnamon, pecans and brown sugar together and sprinkle on cake. It is always a hit whereever I take it. I will be trying some new variations soon! I want to see a picture of your bundt pan. I have 3 different sizes, some metal, some ceramic. I have NEVER been happy with how things bake in them so I always avoid bundt recipes. How would I know what size, etc. to use? Hi Ann. My bundt cake pan is a 10″ pan. Here is the link to the exact pan I use — and I’ve always been happy with how my cakes turn out! You can also do a version of this with a box of any kind of cake mix and any kind of pie filling, no other ingredients needed! My “go-to-dessert” I make pretty often is “Apple Blossoms”. (A cute version of home-made apple strudel). It’s using store bought puff pastry (that I buy in bulk and keep in the freezer) and apples. Thanks for the Blundt Cake (with-a-twist or two) recipes! I’ll try at least one version this week-end! We love and use this method for doctoring up a box mix also. Our favorite is lemon with poppy seeds. We do lemon with lemon pudding and a lemon juice/powdered sugar glaze. 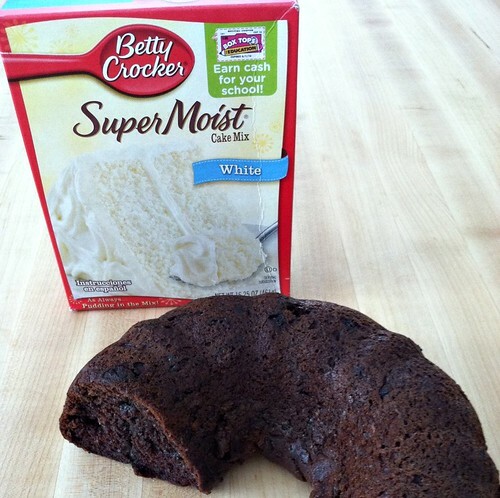 It is sooo moist! I’ve never thought to change it up, I will definitely have to try other flavors! Yes Kayla — try the chocolate for sure!! Hm, looks delicious! Can’t wait to give it a try! Have you thought of trying the idea of using milk instead of water, butter instead of oil and adding an additional egg? This is an idea that I got off of pinterest when making a cake using a box cake mix. It works extremely well! I have made 2 cakes this way since finding it and I have to say, it really tastes bakery fresh! 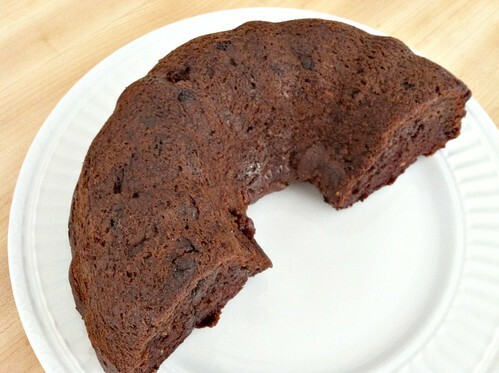 Thanks for sharing this post…I love bundt cakes! And they are perfect for portion control because like you stated, you can freeze half! Kimberley: do you use melted or just soft butter? i am making this today. thanks if you can help. This cake is a family favorite. It freezes great.